Effective contamination control has become a critical component of every facility’s maintenance and reliability program. 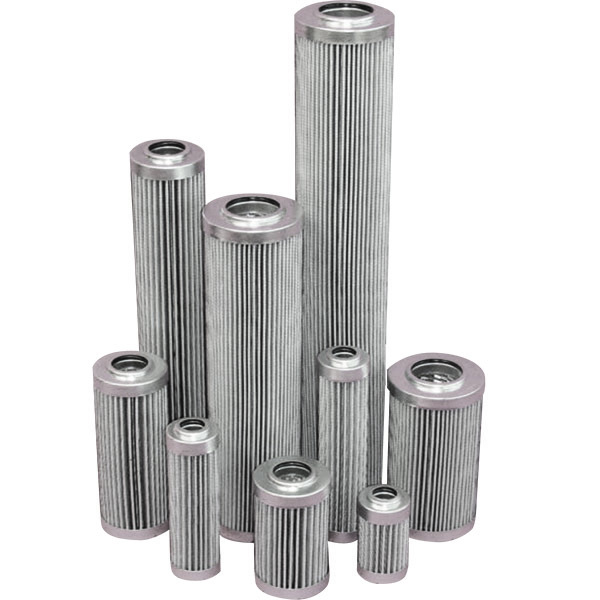 We cost effectively remove contaminants and minimize wear within the system, ensuring reliable service life, predictable operation, and maximum uptime. 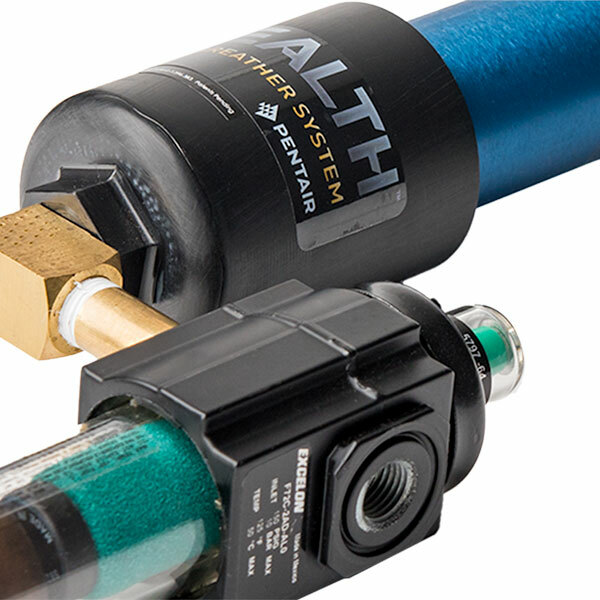 Protect against wear, corrosion, fluid breakdown, loss in lubricity, and total failure of the system. 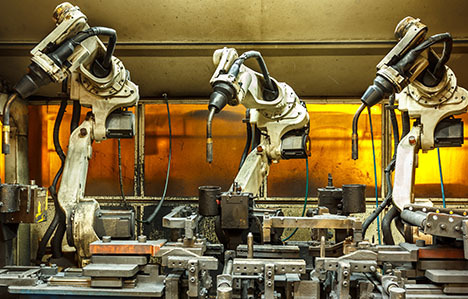 Within lubrication and hydraulic systems, contamination, in the form of particulates, moisture and gases, can have significant adverse effects on the operation and service life of the oil and process equipment. They are the primary cause of wear, corrosion, fluid breakdown, loss in lubricity, and in many cases, total failure or seizure of the system. A majority of equipment failures can be attributed to contamination. If left unattended, the degradation of additives can expose the sensitive equipment to moisture or result in the formation of varnish and sludge can necessitate extended shutdowns and expensive oil change and system flushing to remove contamination. 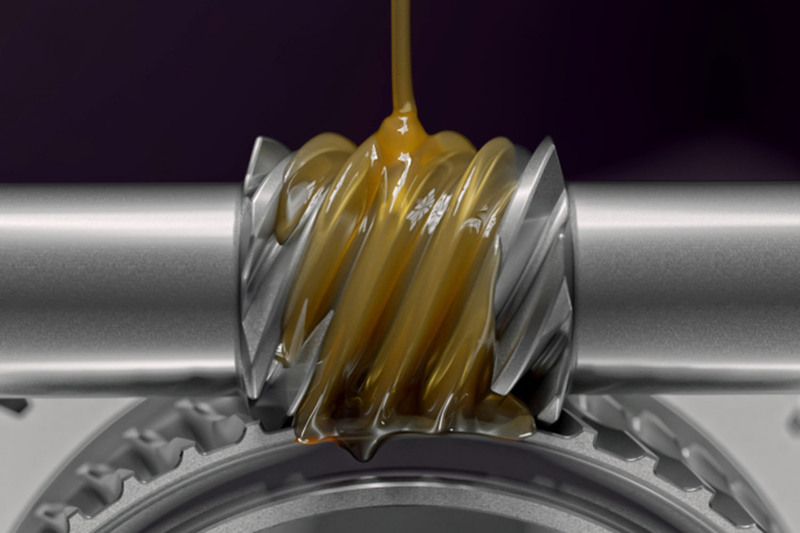 Lubrication systems rely on a layer of oil to separate moving surfaces. Water contamination reduces lubricity and causes the formation of solids within this layer due to the formation of rust, corrosion, varnish deposits, or the breakdown of oils due to oxidation, additive depletion, and changes in viscosity. ULTIDRI® makes extremely low moisture levels attainable – well below the oil saturation limit in most cases. The reconditioning of used oil, i.e., oil contaminated with dirt, metals, water, and other chemicals, is essential for the reliable operation of oil and gas operations. 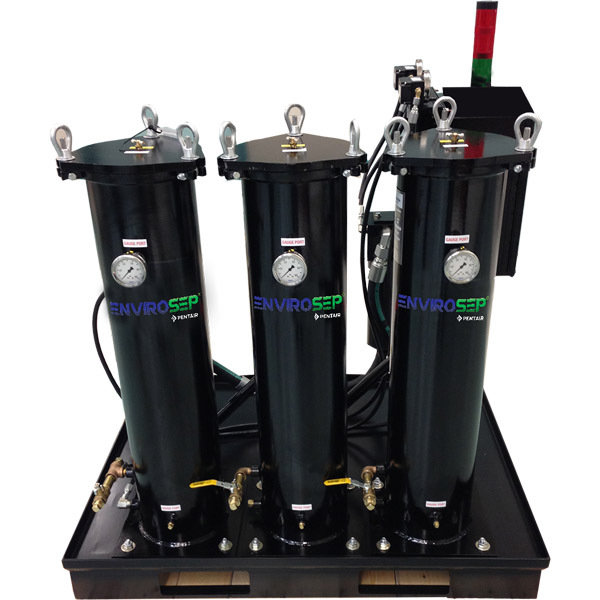 While liquid water can be removed from the drum by reservoir settling or coalescing, the UltiDri® system can remove both free and dissolved water from the oil. Click here to download our brochure about Oil conditioning for lubrication and hydraulic applications. Clean oil is fundamental to operational reliability. 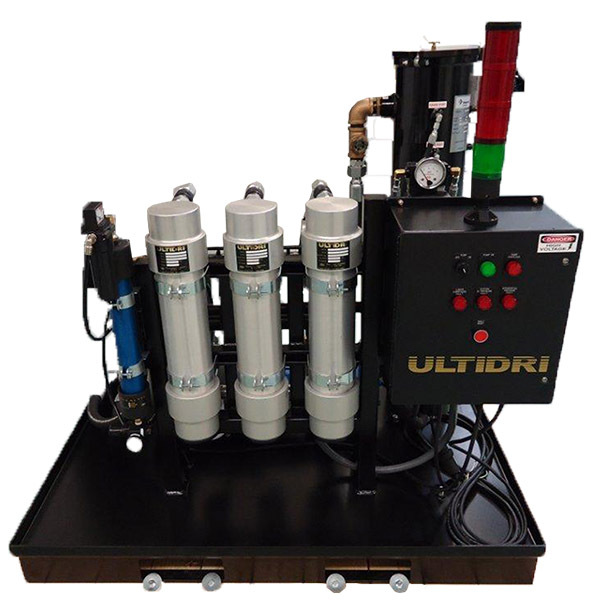 UltiDri is an easily scalable and versatile oil conditioning system to remove solid contaminants and free, emulsified, and dissolved water from lubrication and hydraulic systems. Developed to protect the lubrication systems in power station turbines, ENVIROSEP can safeguard any industrial lubrication and hydraulic system at risk from varnish formation.